- is there a difference between the two IN or are they just mixed? - which channel's IN and 1V/OCT are attenuated by the knobs? both? - what's the difference between CV and LINCV? are they applied to the channels before or after mixing? - what does the FREQ knob do? The two inputs are mixed and are both attenuated by the IN pot, as per the original Aries design. The 1V/oct input in the upper row of jacks goes to the corresponding pot, the one in the lower row is straight thru. 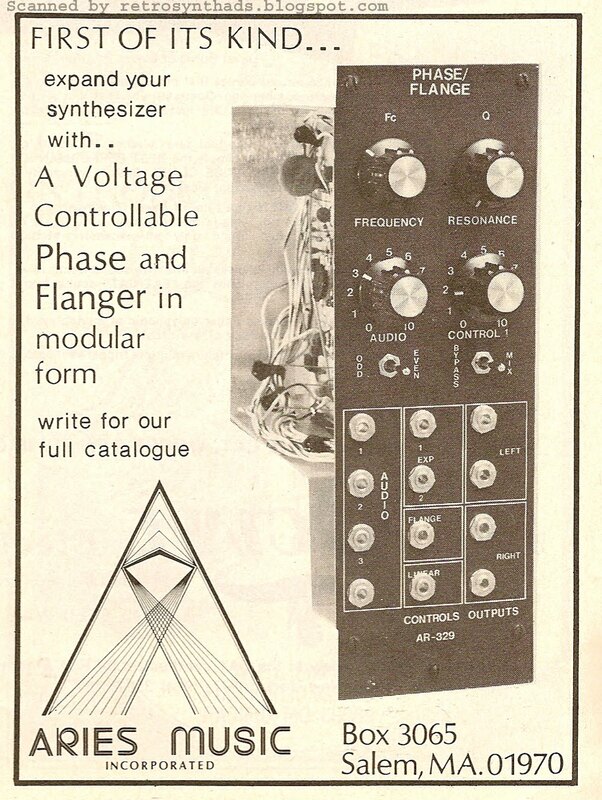 CV is labelled 'Flange' on the Aries panel, but on the schematic someone has crossed off 'Flange' and written 'CV'.......really it can be used to jam a CV in to the module or as a Flange input (not a true Flange as some have pointed out). Either way a great use of this module is to have two different VCOs plugged into it,one to an input, the other into the CV/Flange input. Have the VCOs running closely together and wait for the beat frequencies. Lin CV comes after the log circuit and injects voltage straight into the base of the phase shift network. All the CVs connect at the base, the audio signals start at the top. The Freq knob sets the fundamental frequency around which the circuit will operate. Basically patch in your signal and tweak the Freq knob (and Res/Q) until it sounds good.